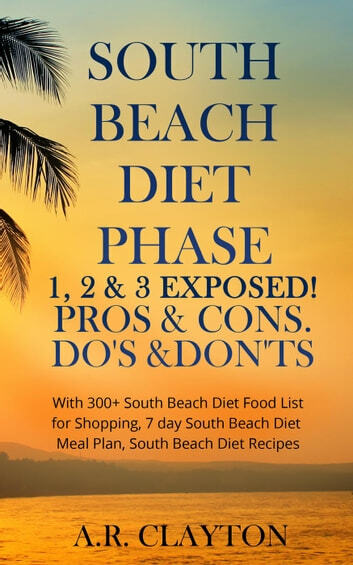 South beach Diet Phase 1, 2 & 3 EXPOSED! Pros & Cons. Do's & Don'ts. The South Beach Diet is a lifetime approach of healthy eating by balancing the lean protein, good carbs, and healthy fats in your meals. This diet focuses on consuming plenty of fiber by including more vegetables and fruits in your eating plan. The low glycemic load of this weight-loss method also prevents the increase of blood sugar, which helps fight food cravings, which in turn helps shed the excess pounds and even prevent the development of diabetes and cardiovascular disease. 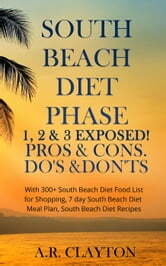 Despite its seeming complexity, the South Beach Diet is a relatively easy plan to follow, and once you’ve completed the first Phase, the fruit and starch restrictions will be over and you will be able to eat all the healthy foods allowed in this diet. The first 2-week restriction of this famous diet is definitely worth it. You don’t even have to start with the restrictive phase if you have less than 10 pounds of weight to lose. This technique is reasonably simple. No need to count calories. All you really need to do is eat three balanced meals a day. Just follow the guide for a healthier and fitter you.